The smart grid-enabled switches can be used to control home energy use and manage a fleet of gadgets, including thermostats and appliances. An Illinois initiative is exploring how the devices could also improve life for seniors and provide more independence to people with disabilities. Manufacturers have struggled to generate interest in their products among seniors and people with disabilities, but some researchers and health care professionals think the devices, with the right adaptations, could make life safer and easier for those consumers. 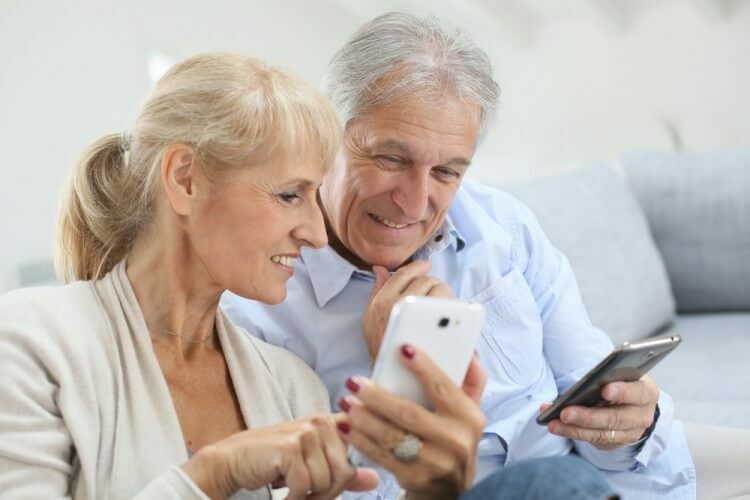 “They weren’t designed to accommodate their needs and preferences, but rather those of more tech-savvy consumers like the millennials,” said Doug Newman, program director for the Seniors Independent Living Collaborative. Newman’s program is funded by the Illinois Science and Energy Innovation Foundation, which also provides funding for Midwest Energy News. The initiative is an interdisciplinary collaboration amongst family and consumer science researchers, gerontologists, and engineers from Eastern Illinois University, University of Illinois at Urbana-Champaign, the Partnership for Intelligent Energy Efficiency and the Seniors Independent Living Collaborative. Ameren is a utility collaborator on the project. Utilities have similarly struggled to get seniors and people with disabilities to adopt smart home devices, but Newman said their research suggests that could change if the products were marketed more directly to those groups. The potential benefits include allowing family members to check-in remotely via the devices. The group for more than a year has been conducting focus groups and examining how to make the smart devices easier to use by seniors and those with disabilities — for example, by enlarging the screens and buttons and streamlining the user experience. In January, the team will launch a two-year program to design fresh consumer resources, training material for installers, and build a consumer test lab to evaluate devices and new designs. The research and designs will be funneled back to Ameren and the device manufacturers. The market for seniors is vast and expanding as Baby Boomers age. In 2010, there were 40 million American seniors, and that number is expected to more than double in the next three decades. A survey by AARP found that 87 percent of adults older than 65 would prefer to stay in their current home and community. Safety features could include remote detection light systems that are outfitted to turn on when a person wakes up at night. Another is a notification system to alert caretakers when help is needed. Utilities already keep track of seniors who have power-sensitive medical devices and will dispatch people in the case of an outage, but the smart grid could provide another level of security, Newman said. On November 30, researchers hosted two consumer focus group sessions at the Center for Clean Energy Research and Education at Eastern Illinois University in Charleston, Illinois. The event was billed as a smart grid consumer independence project. The goal of the session was to assess what seniors and people with disabilities were taking away from smart grid marketing materials. Participants were asked to navigate Ameren’s online account and use a home energy management device. The devices attached to Ameren’s smart meters sat on long conference tables surrounded by pastries and other snacks. The benefits of the smart home devices are not always self-evident, and the participants provided feedback as they set-up the system and read through brochures. Martha Brown, 66, said she had concerns about security but liked the idea of using the online account to guide her decision making. Gayle Strader, an 80-year old resident of Charleston, didn’t want any new gadgets. The focus group wasn’t designed to sell the equipment, but some people were impressed. Katie Armstrong, 71, thought it was a great idea. “I would be interested in having the system that they showed us and that [smart] meter in my home,” Armstrong said. Organizers said they came away with useful information from the feedback and observations. Kathleen O’Rourke works with Simpson as a professor and graduate coordinator atEastern Illinois University’s School of Family and Consumer Sciences. “It allowed us to meet [the participants] where they are at in terms of their residential living environments,” O’Rourke said. Mary Irwin is a case manager for CCAR Industries, a client and family support facility in Charleston. She brought a dozen clients to participate in a separate focus group geared towards those with disabilities. The energy management units were “a good starting point,” she said, but one obstacle could be the language used in the materials, which she said was too complicated and relied on too much jargon.